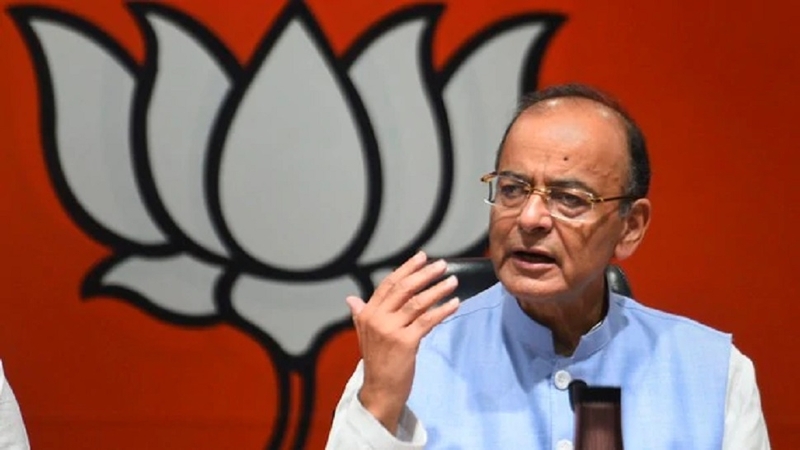 FINANCE Minister Arun Jaitley on Thursday said Article 35A, which restricts non-permanent residents to buy property in Jammu and Kashmir, is “constitutionally vulnerable” and also hampering economic development of the State. The statement comes amidst the Bharatiya Janata Party (BJP) pressing for early elections to the State assembly in the State. The State is under President’s rule and the Union Cabinet takes all policy decisions related to the militancy-hit State. In a blog, Jaitley said the seven-decade history of the State of Jammu and Kashmir confronts changing India with several questions. “Was the Nehruvian course, which the State had embarked, a historical blunder or was it the correct course to follow? Most Indians today believe that it is the former. “Does our policy today have to be guided by that erroneous vision or an out of box thinking which is in consonance with ground reality?” Jaitley questioned. The senior BJP leader and in-charge of the party’s campaign committee for general elections said Article 35A was “surreptitiously” included by a presidential notification in the Constitution in 1954. Artcle 35A, he said, was neither a part of the original Constitution framed by the Constituent Assembly, nor did it come as a Constitutional Amendment under Article 368 of the Constitution which requires an approval by two-third majority of both Houses of Parliament. “It came as a presidential notification and is a surreptitious executive insertion in the Constitution.” Jaitley further said the Article gives the right to the State Government to discriminate between two State citizens living in the State on the basis of declaring some as permanent residents while leaving out the others. It also discriminates between permanent residents of the State and all other Indian citizens living elsewhere, he added. “Lakhs of Indian citizens in J&K vote in Lok Sabha elections but not in Assembly, municipal or Panchayat polls. Their children cannot get Government jobs. They cannot own property and their children cannot get admitted to Governmental institutions. “The same applies to those who live elsewhere in the country. The heirs of ladies marrying outside the State are disinherited from owing or inheriting property,” the Minister added.